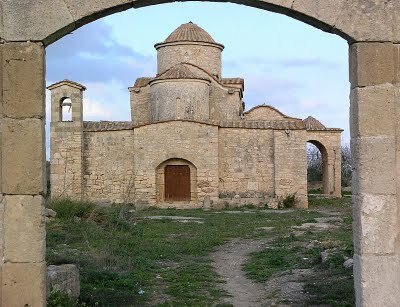 In Lythrangomi, a small village of the Ammochostos region in the Turkish occupied Karpasia peninsula, one may find a rare specimen of the 6th century BC: The Church of Panagia Kanakaria. It is a monastery church which is devoted to the Virgin Mary and is situated at the far western corner of the village. There are three meanings given to the name “ Kanakaria”. Popular tradition says that a Saracen threw an arrow against Panagias’ knee on the icon , which was lying outside the church against the wall, or put a knife to the icon. However, the knife turned back and pierced his hand. He tried to mend the wound by appealing to the people at the next village. While running, he was shouting “ kan, kan”, which means “blood”. He died on the way. The icon was thereafter named “ Kanakaria”. The second version says that Panagia was so named because it was built by an only child, “a kanakari”. The third one relies on a mosaic which depicts Panagia embracing her Child, holding Him on her lap. The church was built on the ruins of an early Christian Basilica, at the time of the Iconamachia. It is a three aisled domed basilica, whose central aisle ends in a semi circular apse dated to the 7th century and is regarded as the Katholikon of the monastery. The church had its walls, the side apses, the dome, the narthekas and the middle apse modified during the 12th and 13th century. 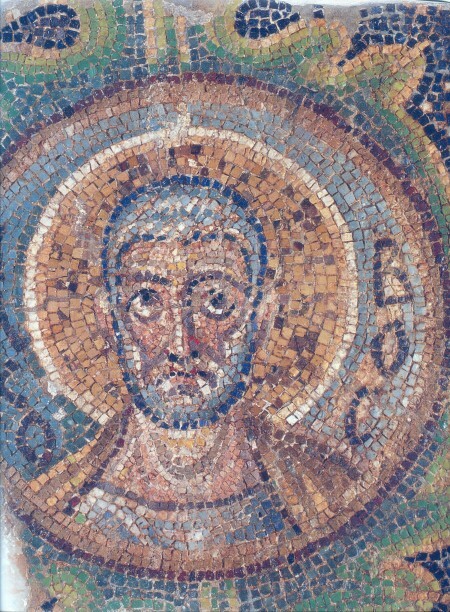 Three mosaic specimens which are found on the apses of three early Christian basilicas ( Panagia Angeloktisti at Kitium, of Kyras at Livadia and Panagia Kanakaria)give an idea of the grandeur and the immense beauty of the mosaics which adorned the basilicas destroyed during the Arab raids. 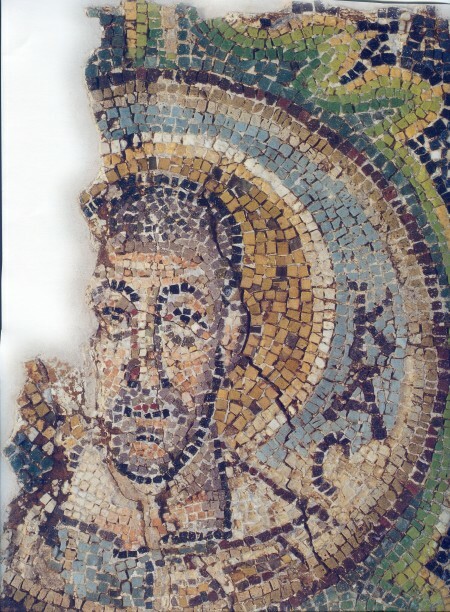 The oldest of the three mosaics was found on the apse of the Panagia Kanakaria. 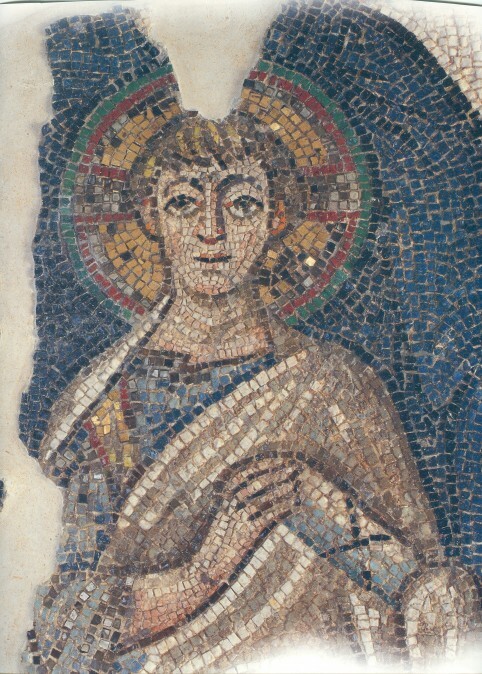 Panagia, sitting on a front facing throne, holding Christ on her lap, was at the centre of the mosaic. Archangels Gabriel and Michael surrounded her on a golden background. 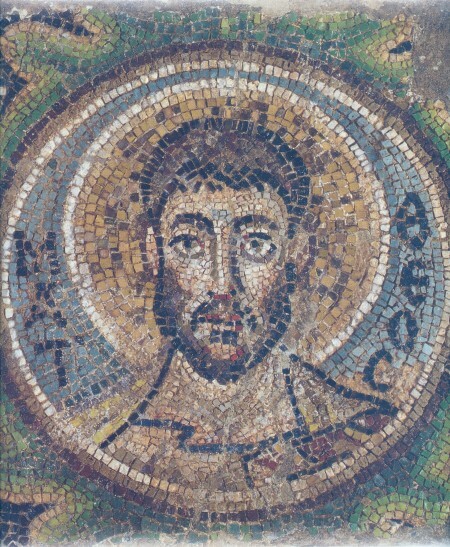 This mosaic was in place until 1979. Panagia’s head had not been preserved. The mosaic is surrounded by a frieze depicting the twelve apostles and Christ in medallions richly decorated with geometric and flowery designs. Only nine of the medallions with the apostles have been preserved. In 1979, the Church was destroyed by the Turkish occupation troops. 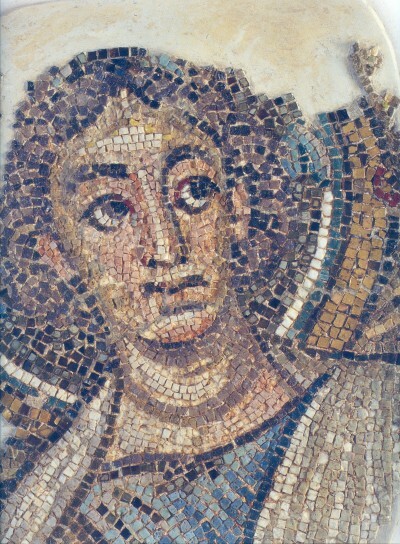 The unique mosaics have been looted and sold to dealers of archaeological treasures. The Church of Cyprus and the Cyprus government launched a long legal battle which caused worldwide interest. 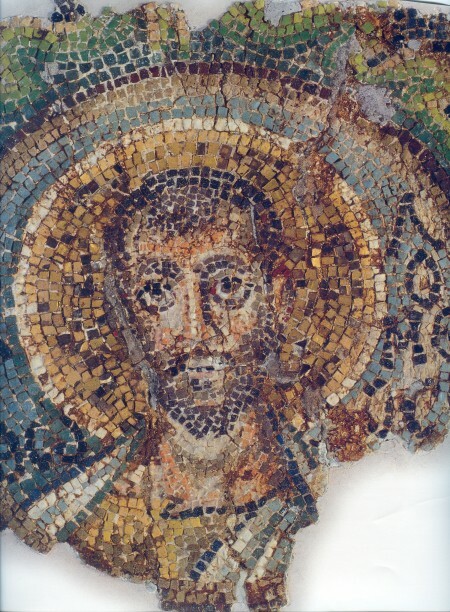 In 1989, a United States court described the mosaics as ‘stolen property’ and ordered their return to their rightful owner: the Church of Cyprus.